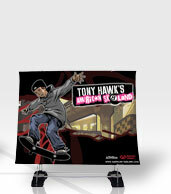 Our full line of Value Priced Banner Stands offer fast set up at an economical price point. At just 2 lbs. 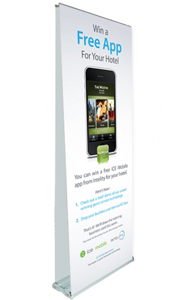 total, our Lite Banner stand is perfect for smaller Trade Shows and Sales presentations. 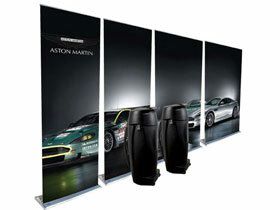 Our Budget retractable banner has great value, and stability. 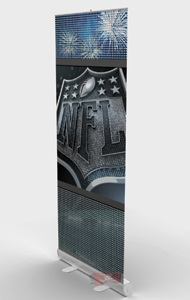 The Supreme banner stand is simply your best choice, it's the easiest one to set up, the hardware will last show after show, a few more dollars, your return: sales instead of headaches. We only print on the highest quality non-curl polyester media similar to that used for photographs. The high gloss coating on this material provides smooth brilliant color and crisp sharp detail by absorbing the ink for smooth consistent color. 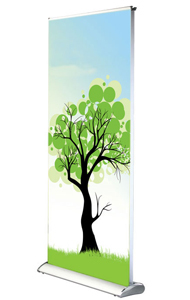 The next step in our printing process does more than protect the ink from scratches. 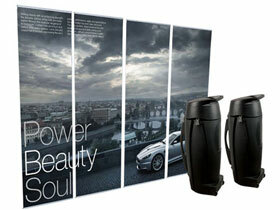 Once printed, the super high resolution image is then laminated with a high temperature, thermal satin finish lamination. 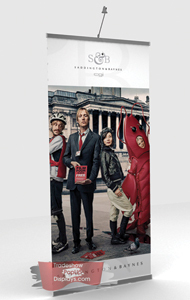 The protective layer of satin lamination over the high gloss print provides a noticeably superior quality appearance. The materials and processes we use are the most costly of all methods but the end result is that your message appears on highest quality most durable graphic possible. We think this is the best way to earn your business for years to come! 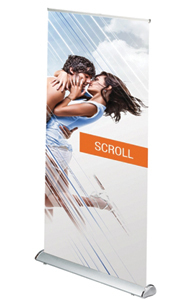 The Scroll is a very popular retractable banner, due to it's wide base which stands for greater stability. The base is also adjustable to fit the floor!  The easiest one to set up, focus on your sales! 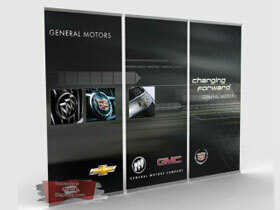 At the trade show there's a lot of visual competition, you can't afford to loose clients for lack of visibility, our 2 Sided Retractable Banners, will leave no stone unturned. 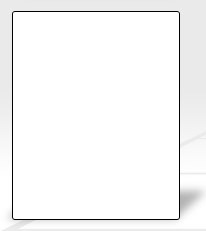 Double the message, double the client response. Our most economical Banner Stand gone viral! 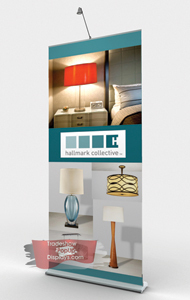 More banner stand, more sales. 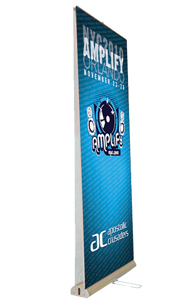 If you want quality you can use show after show, hardware that will last years, A banner Stand that is easy to set up! 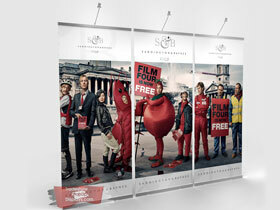 This is your banner stand display.